Searching for God’s daily grace this month is showing me how important it is to look for it, to actively seek it. It’s easy to miss as you fly through the day, pulled in a hundred directions. I created this free printable image to remind you—and me—to watch for those grace moments in our days. Click the image and you’ll go to the page on Flickr where it can be downloaded. 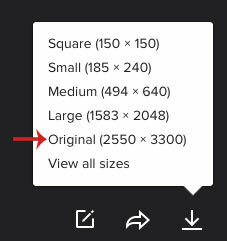 Click the arrow in the bottom right corner and select “original” to download it in a size that will print on standard 8.5″ x 11″ paper.